Just two weeks ago I told you guys about the amazing ModMic 4 that I picked up for my new Sennheiser HD 598SE headphones. The ModMic 5 came out pretty much the day I bought the 4, and I liked it so much that I asked the team at Antlion Audio if I could have a ModMic 5 to review for our readers here on the blog. They were awesome and kind enough to send me one. To kick things off, I made this video review to highlight all of the great features. 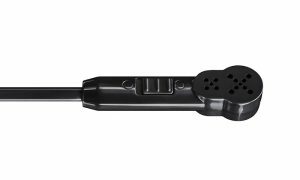 The ModMic 5 is basically an attachable boom mic that can adhere to any headset using 3M adhesive pads. The ModMic uses a patented magnetic interlocking teeth design to attach to its adhesive base, and can switch positions and attach to your headphones with ease. As I stated with the ModMic 4, there is an element of ‘janky’ to the setup. It’s not the most glorious concept to attach a 3m adhesive pad to your $300 headphones, but once you get over that and get it on there you forget all about the setup and realize you have a bitchin microphone that you can pop on and off whenever. The build quality is definitely improved in the ModMic 5. The flexible neck is thicker and the foam pop filter on the microphone is better quality. The interlocking teeth and adhesive pads are identical. The cable management improves significantly with the included cable wraps. They were a pain in the arse to actually wrap around because they are so tight. That’s a good thing, but dang it was annoying. 😛 I ended up really not needing them since the ModMic 5 also comes with the same clasps as the 4, and I ended up just using those almost the entire length of the cable. The biggest difference is that the ModMic 5 comes with BOTH the omni-directional AND uni-directional microphones. The omni is best for capturing high quality voice recordings in a quiet environment, and the uni-directional is designed as more of a noise-cancelling mic. The audio quality on both is fantastic, and there are situations in which I will 100% use both. General every-day use will be on the un-directional, whereas when I’m doing important voice recording I will likely switch to a the omni. 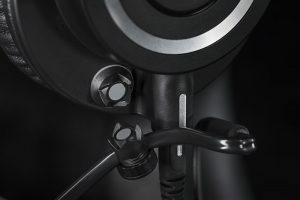 The ModMic 5 also comes with an in-line mute option, which was present on the ModMic 4 as an add-on. The sound quality is superb. I’m told by Antlion that it is the same as the 4, but I feel it’s better. Maybe that’s psychological. I’m not an audiophile — though I’m becoming one with time — but this sounds better than my Blue Yeti mic. I have one, and I just can’t stand how it picks up everything and makes me get super close. Having the boom mic right there next to my mouth regardless of where my face is just works for me. I like to lean back in my chair while I raid, and this lets me sit comfortably. Important: You MUST use a USB Sound card. Do not expect to plug a microphone into your motherboard and have it sound good at all. Grab a Sabrent USB Sound Adapter on Amazon for under $10. You’ll sound great. 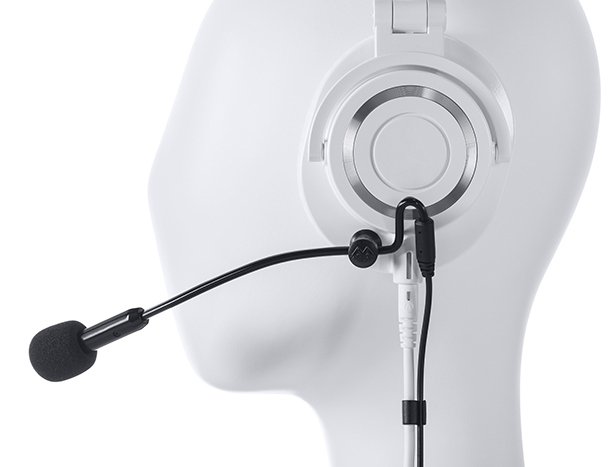 Is the ModMic 5 Right for You? To first address this question, we have to talk price. It’s pretty steep. The ModMic 5 will set you back $70. For many of you, that’s likely double the price of your entire headset. The ModMic 5 is NOT for you if you are super price sensitive. Get the ModMic 4 which is half the price on Amazon. However, if you’re like me and you want great headphones but don’t want a desk mic sticking in your face, or happen to enjoy the headset style but your headphones don’t have a mic, then this is a great option. Having both types of microphones ended up being waaaaay cooler than I thought. My ModMic 4 was only omni, and I didn’t realize how much I would like the uni-directional. Bottom line, I highly recommend the ModMic 5. Antlion Audio was brilliant by solving the pain people like me were experiencing during our hunt for a decent microphone.